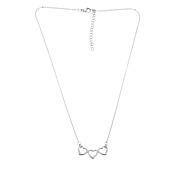 Get two looks in one with this chain necklace. Want to be serious? Remove the charm. Want to be fun? Wear the charm. Either way, it's a necklace that looks great with jeans, business attire and your LBD. 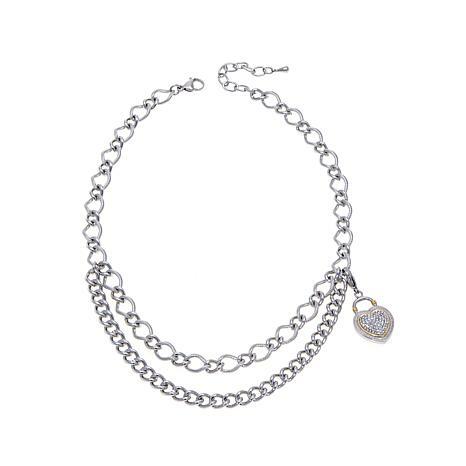 Have a chain bracelet? Snap on the charm for another look. Love the design and versatility of this piece. 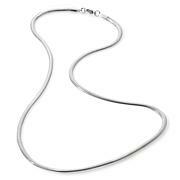 The contrast of the various links as well as the texture on one strand of the necklace give it a special elegance. The detachable charm is the icing on the cake, especially with its added sparkle. I love this necklace and it looks very high end. Do not hesitate to buy! 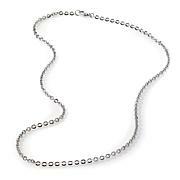 This would of been really pretty if the accent chain was the same chain style as the main chain. That accent chain looked an felt like a dog choke chain...plain and simple it is ugly and dose nothing for the cute little accent crystal pendant. Returned it. Looks cheap in person. The heart is pretty, but doesn't fit the chain and the clasp doesnt close well.